Chronic heroin addiction and abuse leads to a host of medical complications ranging from lung problems to mental health disorders and insomnia. Following initial effects of the heroin’s ‘rush’, the users will experience slowed breathing, drowsiness, clouded me ntal function, and a decreased heart rate. Sometimes, the respiratory rate becomes so low that it may lead to permanent brain damage and life-threatening coma. Repeated heroin abuse and addiction has been shown to alter the physical structure and physiological functions of the brain (deterioration of the cerebral white matter), leading to long-term hormonal and neuronal imbalances, which may be impossible to reverse. Heroin is extremely addictive when taken through any route of administration, although the drug reaches the brain fastest through intravenous injection or smoking and increases the risk of addiction and chronic relapse. Tolerance and physical dependence on the drug is, yet another, long-term complication of repeated heroin abuse, where the body has adapted itself to the drug’s continued presence and severe withdrawal symptoms would occur within a few hours of abstinence. Therefore, physical dependence and uncontrollable drug-seeking are typical characteristics of extreme addicts in whom the primary purpose of life becomes seeking heroin and consuming it. 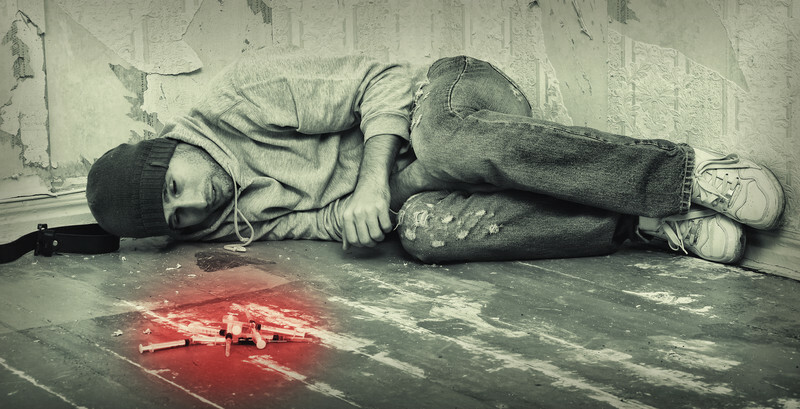 Chronic heroin addicts experience poor health and severe lung complications, like pneumonia and tuberculosis, due to the drug’s effect of depressing respiration. Behavioural issues like anti-social personality disorder, depressive moods, and other mental health disorders are commonly observed. Irregular menstrual cycles in women and sexual dysfunction in men are also noted effects of chronic heroin abuse. Increased risk of contracting Infectious disease like HIV, hepatitis B and other blood-borne diseases. Depending on the route of administration, specific medical consequences are observed like scarred and collapsed veins in chronic injection-users. 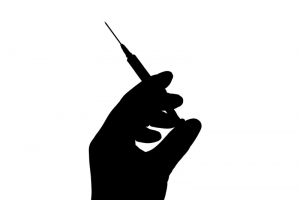 Frequent injections could cause bacterial infections in the blood vessels, heart valves leading to boils, abscesses, and other soft tissue infections. Addicts who recurrently snort heroin could result in damaged mucosal tissues and perforated nasal septum. Additives in street heroin have been known to contain non-dissolvable substances, which may clog blood vessels leading to the lungs, kidneys, liver, heart or brain. Such blockages may cause infections and even tissue necrosis of small cell-patches in vital organs. Auto-immune reaction to such infections may lead to rheumatologic complications such as arthritis or other medical syndromes. Finally, the most severe health complications may occur due to sharing of needles, injection equipment or fluids, and drugs. Occurrences of blood-borne diseases such as HIV, Hepatitis B, Hepatitis C and a host of other infections may arise and spread to their sexual partners and children. US Rehab Network offers exceptional help for heroin addiction. There are over 100 Centers in the Network and an immediate confidential insurance verification is offered. Call us today at 888-598-0909!